As you’ll recall, the proposed calculation used a combination of Medicaid/SSI days and one year of Worksheet S-10 data to calculate providers' average Factor 3 for FFY 2018. CMS announced that “amended FY 2014 cost reports due to revised or initial submissions of Worksheet S-10 received by Medicare Administrative Contractors on or before September 30, 2017, will be uploaded to the Healthcare Cost Report Information System by December 2017”. CMS finalized use of uncompensated care data from Worksheet S-10 to calculate qualifying providers’ Factor 3 beginning in FFY 2018. CMS initially issued an extension to file S-10 for those states affected by hurricanes until October 31, 2017. Two weeks later, CMS issued a TDL granting the extension for ALL states. Transmittal 11 made a number of revisions to the instructions for reporting data on cost report Worksheet S-10. These revised instructions should have been incorporated by hospitals into the FFY 2014 & 2015 Worksheet S-10 revisions and submitted by the applicable deadlines. In its Technical Direction Letter, CMS extended the deadline for all IPPS hospitals to submit revised or initial FFY 2014 & 2015 Worksheet S-10’s by January 2, 2018. Clarified the deadlines for uploading revised or initial submissions of FY 2014 and FY 2015 cost report Worksheet S-10. CMS also provided clarification for hospitals requesting Worksheet S-10 revisions where their FY 2014 and FY 2015 cost reports had already been final settled. Provided clarification related to Medicare Cost Report Worksheet S-10. 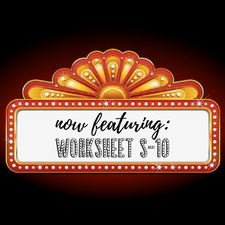 The Q&A posted provides 20 examples related specifically to Worksheet S-10 for hospital providers to consider. If you haven’t yet had an opportunity to read the Q&A, we’d recommend it. As you can see, a lot has happened in a short time related to S-10. And, 2018 could be very similar as there seems to still be significant "confusion" surrounding the Worksheet S-10 uncompensated care cost reporting instructions resulting from the issuance of Transmittal 11 and the subsequent Q&A posted on the CMS website. In addition, FFY 2017 cost reports are subject to desk review and CMS is also on record indicating that FFYs 2014-2016 may also be subject to further scrutiny upon submission. MACs are likely developing their audit protocols and will also need to interpret CMS' instructions. The hospital provider community awaits to see if CMS will address any outstanding issues in the FFY 2019 IPPS proposed rule due out this Spring. Next step recommendations for your FFY 2016 & 2017 Worksheet S-10 submissions.